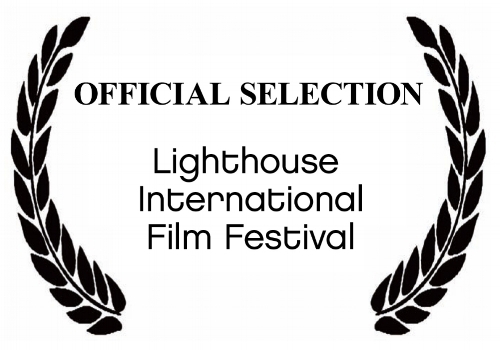 I'm proud to announce that we're an official selection in the 2017 Lighthouse International Film Festival! After screening all over the country, The Skull makes a homecoming to the Jersey shore, where it was filmed on location. The Skull will have a sort of homecoming when it plays in the Short Film Series as part of the 2016 Scranton Fringe Festival. While the film was shot in Brielle, NJ, it tells the tale of my family's move from our house of 37 years in my hometown of Scranton, PA.
Also check out my debut solo show Farty of One at the Festival! It's a 50-minute comedic solo show starring the world-renowned fart therapist Dr. Schvarts. Mixing character sketches, storytelling, dance, and video, Dr. Schvarts's mission is to help you achieve "heart through schvart"! Last year my pilot Double D won Best Comedy at the Princeton Independent Film Festival, and I'm so happy to announce that The Skull will be making an appearance at this year's festival. The festival runs September 29 and 30 in Princeton, NJ. Check back for updated screening times and locations. The Skull has been chosen as one of 14 short films to screen at the 2nd Round Finals in the Katra Film Series! From this round, three films will be chosen as the winners: two films by the judges, and one by audience vote. So come on down and help a skull out! The Skull will be joining some fine films for the 2016 Pittsburgh Independent Film Festival! If you like sandwiches with french fries on them as much as I do, you're going to love Pittsburgh. Also, my film is pretty cool. The Katra Film Series hosted the The Skull in its hometown of New York City! It screened as part of Katra's June 2016 edition on June 22. The Skull will be screening as an official selection in the 2016 LA Indie Film Festival in March! I've never been to LA, but I heard there's something called "sunshine" there. Sounds suspicious. The Skull has been named an official selection in the 11th Cinema on the Bayou Film Festival! The film will be screening as part of the Narrative Shorts Series 1, on Saturday, Jan. 23, 2016 at 8:30AM. How about some post-screening Bloody Marys? ?